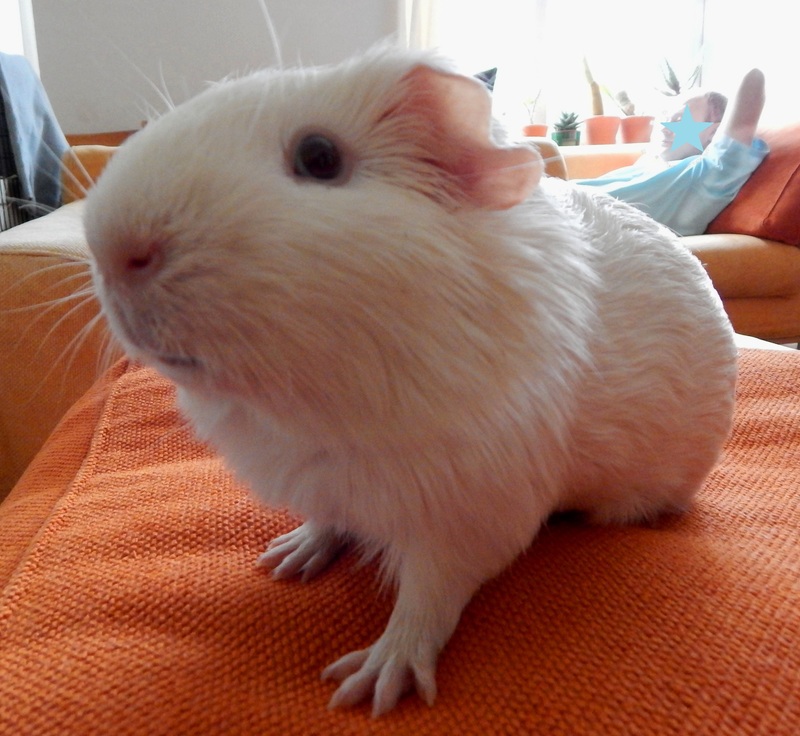 You all know by now I had a harsh start in life being left in a pet shop for four months. But this made me stronger, actually. I mean bringing rabbits to order is not an easy job! By the way, Data here. Yeah! So, I’ve spent few months in a pet shop with no vegies. When I first saw some green stuff, I was surprised. But my true nature came up quickly and I’d started to devour vegetables, especially fennel, celery, cucumber, parsley, endive… OK, OK! Everything that is green, including fresh grass. 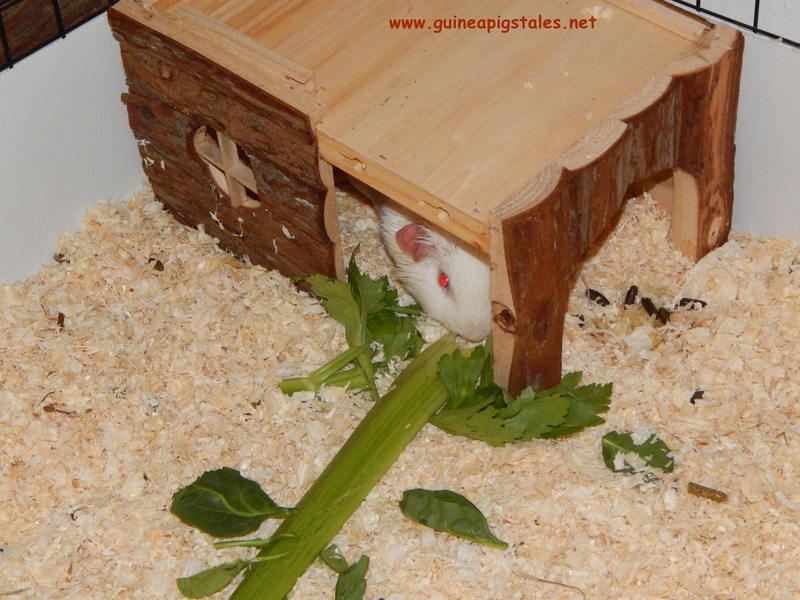 Now, although I have my own room aside from the other three piggies, I still have the habit of protecting what’s mine and try to take my vegies and hide in the wood house. Also, I have the impression that the humans are considering stealing my food… You know why?! Because they are providing me large pieces of vegies so I can’t really hide them. But my instincts work better. For example, one day the human male fed me an entire carrot. The entrance of my wood house is about 10 cm large and the carrot was about 14. If I grab it in my moth horizontally and I run, it blocks at the entrance. By the way, it is horrible to stop because the carrot is stuck. But I am stubborn and perseverant: I’ve tried few times until the carrot gave up and broke in two. Another time the human female put some celery greens behind the door in the bedroom. Her thought was that she would catch me that way to put me back in my room. But… I grabbed an 80g piece of celery and run fast under the bed. Considering that my weight is around 800g, I am amazed of my force. Sometimes I compromise and it’s just me hiding in the house, but I keep my vegies close too!